We are revamping our restaurant piazza! 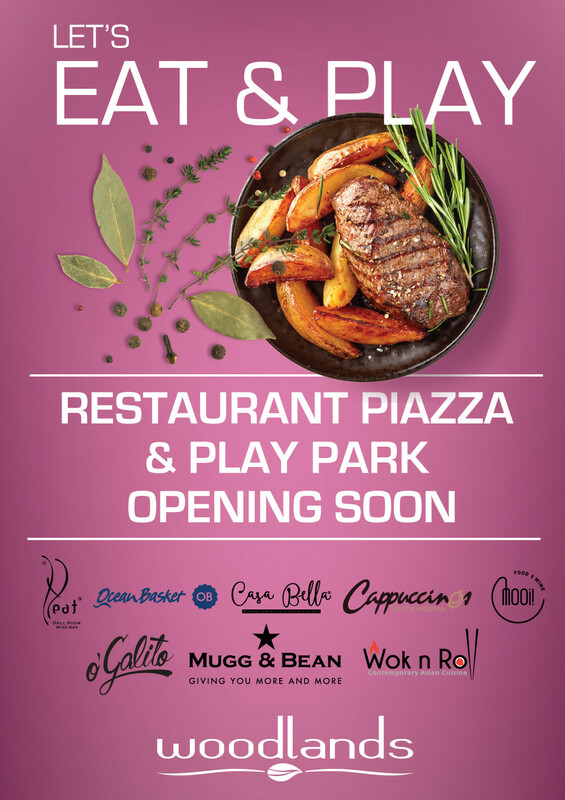 - Cappuccino’s, O’Galito and Heat restaurants are revamping with a new look and will be ready by June 2019. The restaurants will still operate during their quick revamp periods. 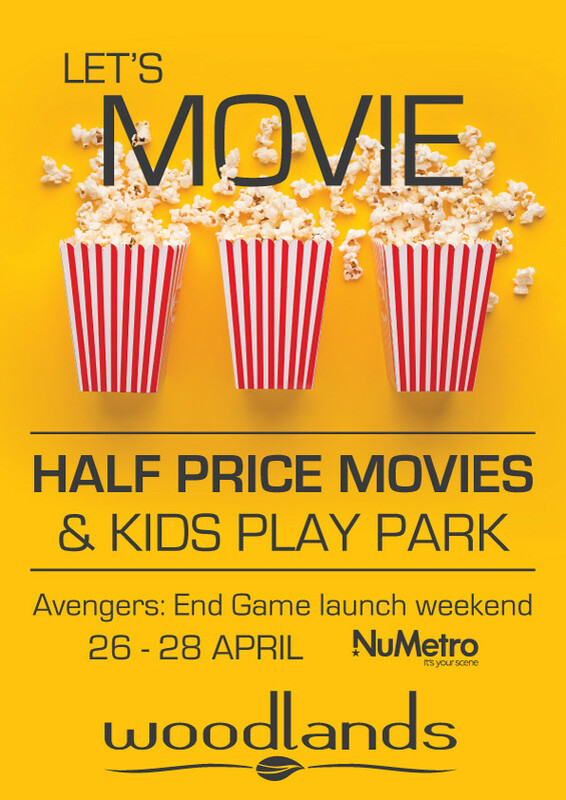 Woodlands and Nu Metro VIP Cinemas bring you half price movie weekend from Friday 26 April until Sunday 28 April 2019! All movies over the three days will be priced at 50% less, or R55 for 2D movies and R62.50 for 3D movies. Don’t miss the worldwide launch weekend of Avengers: End Game in 3D which will also be half price for the three days. Other activities for the weekend will include our newly launched permanent play park for kids aged 2 – 12 years as well as face-painting, storytelling, balloon sculpting, cookie decorating, free balloon hand-outs and our butterfly selfie wall, all taking place in the new Restaurant Piazza area. All activities are free of charge. - Ocean Basket: Greek evening with music and breaking plates, 27 April. There will also be sushi-making for kids from 26 – 28 April. - O’Galito: free hors d'oeuvre, kiddies colouring in sets and kids meals. - Wok n Roll: free kids meal with an adult meal from Friday 26 April to Sunday 28 April. - Heat Grillroom: free kids meal with an adult meal (kids under 12 years). Pensioners! 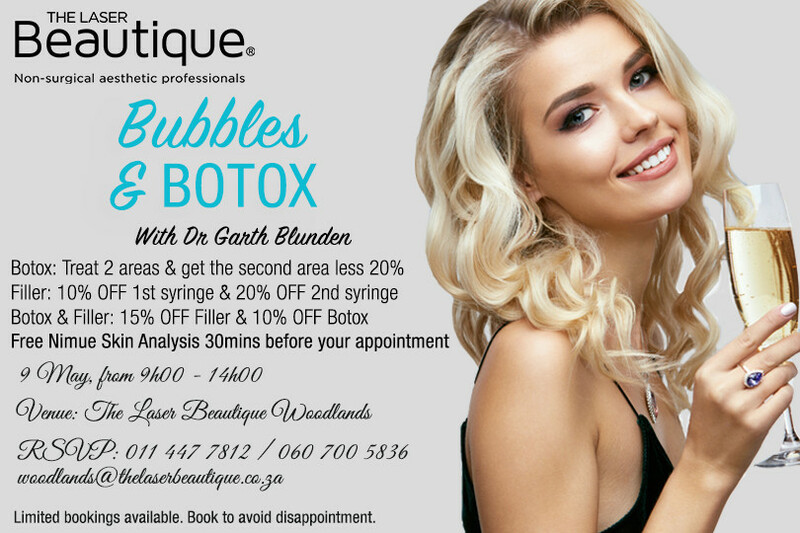 Spend any amount at any of our listed stores which offer pensioner specials and stand a chance of winning a R500 mall gift card monthly! Simply write your contact details on the back of your till slip and pop it into the entry box at the info desk. 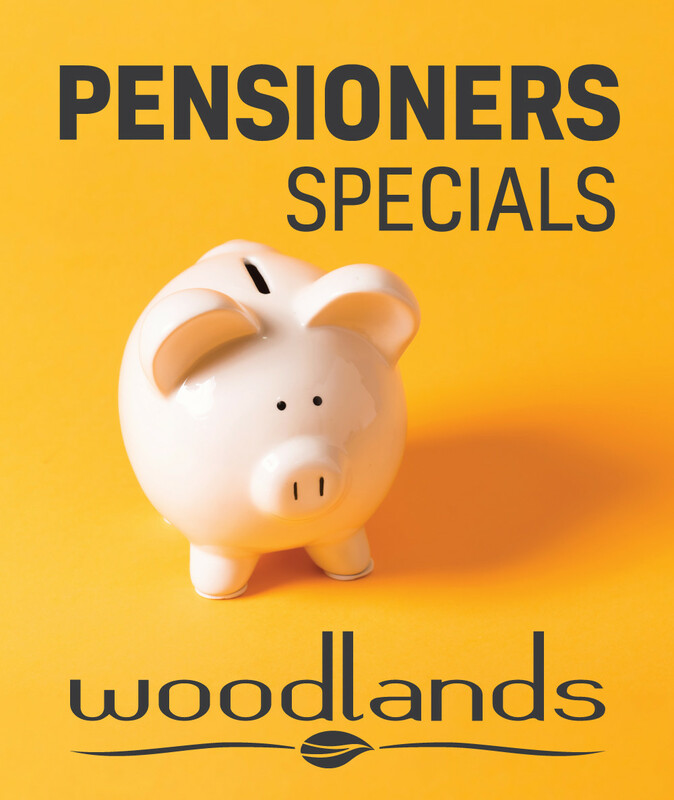 Grab our pensioners booklet available from the info desk to see which stores are offering pensioner specials.